Jesmonite Acrylic Sealer - Industrial Plasters Ltd.
Jesmonite Sealer is a pure acrylic coating for AC100, as AC100 will require a sealer when used externally to provide resistance against environmental contaminants. This Sealer is durable, flexible, and UV resistant and is Matt in appearance and can be applied by brush or spray. It is water based so is non-toxic. 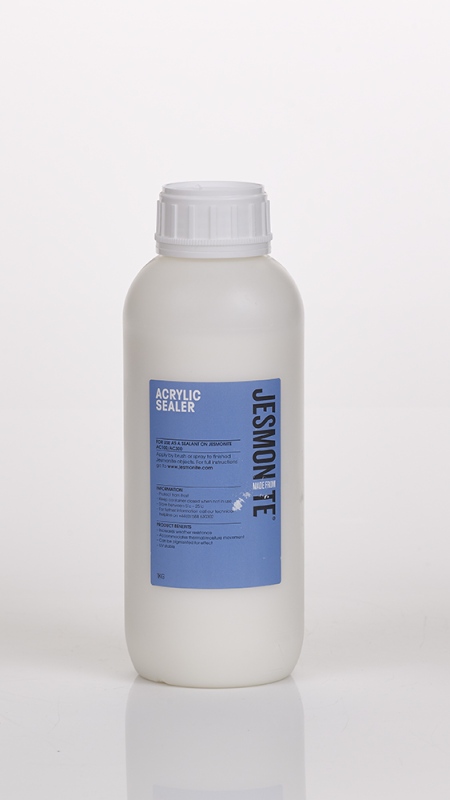 This sealer can also be used as a vehicle for distressed finishes on all Jesmonite products. Dependent upon prevailing conditions, products sealed with Jesmonite Sealer will require re-coating at 6 – 10 year intervals.